Possible Mint Error Or Something Else? any ideas about what happened here? I found this in my father's collection and I don't know anything its history. 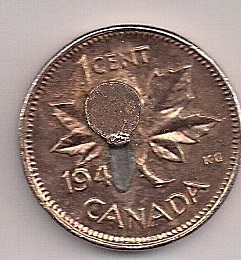 It looks like a blob of metal got stuck on top of the coin. It has the same shiny color as the rest of the coin. possibly for a piece of jewellery. Thanks for the prompt reply. This makes sense as a few of the other coins had been made into jewelry at some time in the past. 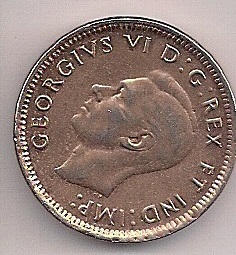 It's still a nice shiny coin for its age.